Whether your book club is full of fans of historical fiction who love getting lost in different time periods or the members groaned all through high school history classes, there is a historical YA novel that will generate great discussion for your group. Historical fiction can be as immersive as fantasy or science fiction by transporting the reader to a completely different place and time, but it can also provide context and prompt discussion of issues that are still relevant today. 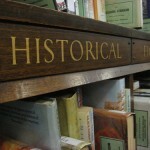 Since historical fiction can focus on a specific historical event, such as a war, or speak to larger cultural trends, such as the the rise of the mix tape, there is enough variety within historical fiction that any group should be able to select a historical title. 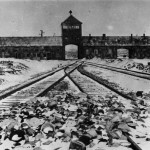 “Historical” doesn’t have to signify the distant past; novels inspired by recent historical events can be a great introduction to the genre. The Good Braider by Terry Farish is a story told in verse of a family fleeing the Second Sudanese Civil War and emigrating to America during the early years of the 21st century. Its startling and gripping depiction of the horrifying conflict that killed and displaced millions of civilians and the struggles of new immigrants to adjust to a new culture will captivate readers. The events are only a little over a decade in the past, but they are centered around a specific moment in time. Of course, for teen readers that’s a lifetime ago, but for adult fans of YA, it can read more like contemporary or realistic fiction. If The Good Braider is a hit with your book club and you decide to try other historical novels in verse, Helen Frost’s The Braid is a moving story of two sisters separated due to the famine in Scotland during the 1850s. Or it might be fun to have half the group read one book and the rest read the other and then compare and contrast the styles, characters, and themes. 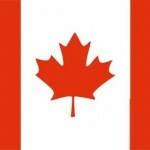 Sometimes picking two books with a connection (in this case, both are historical novels in verse) can make it easier to obtain enough copies for the entire group, and it can also lead to a rich discussion. 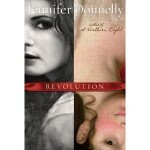 Reading groups hesitant to try historical fiction might start with Revolution by Jennifer Donnelly (2011 Top Ten Best Fiction for Young Adults, 2011 Odyssey Honor), which weaves together two stories: one of a modern-day girl from Brooklyn and one of a girl in Paris during the French Revolution. Just as a diary serves as a gateway into the past for the modern day character in the book, this story can serve as an introduction into historical YA fiction for those reluctant to explore the genre. Speak and Wintergirls are popular picks for book clubs, and groups that enjoyed either of those might want to sample one of Laurie Halse Anderson‘s historical works as well. Chains is the story of a girl who seeks freedom from slavery during the American Revolution and is an impeccably researched and compelling read that examines some of the contradictions in American history that are still reflected in today’s culture, making it a great book for discussion. If your book club is looking to mix it up with some narrative nonfiction instead of sticking to only novels, there are several historical works that tell true stories yet are as exciting to read as any work of fiction. Bomb: The Race to Buildâ€”and Stealâ€”the World’s Most Dangerous Weapon by Steve Sheinkin (2013 Award for Excellence in Nonfiction for Young Adults winner) is a great selection that will surprise readers. Its fans should check out The Nazi Hunters by Neal Bascomb for a real-life spy thriller, due out this fall. These are all very different stories, and it would be a nice change of pace for a book club in which each member typically reads the same book to instead have each member book talk their individual selection and then discuss the commonalities or differences of each book. Even if your book club reads strictly horror, there are plenty of scary stories from historical settings! Many tie-in with a classic like This Dark Endeavor by Kenneth Oppel, a different take on Frankenstein, or The Madman’s Daughter by Megan Shepard, a retelling of The Island of Doctor Moreau. 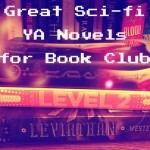 With the tendency for young adult literature to blur genres, there’s truly something within historical YA to pique the interest of any book club! I love historical YA!!! And one of my favorite parts of reading YA is the tendency to blur the lines with genre. Would totally recommend Born Wicked by Jessica Spotswood for a fantasy historical YA choice and Lions of Little Rock by Kristin Levine for a more realistic choice. Love the post!